Call Us in Case of Dental Emergencies! Summer is just around the corner, and with it comes days of enjoying the outdoors with barbecues, games, sports, and many other activities! 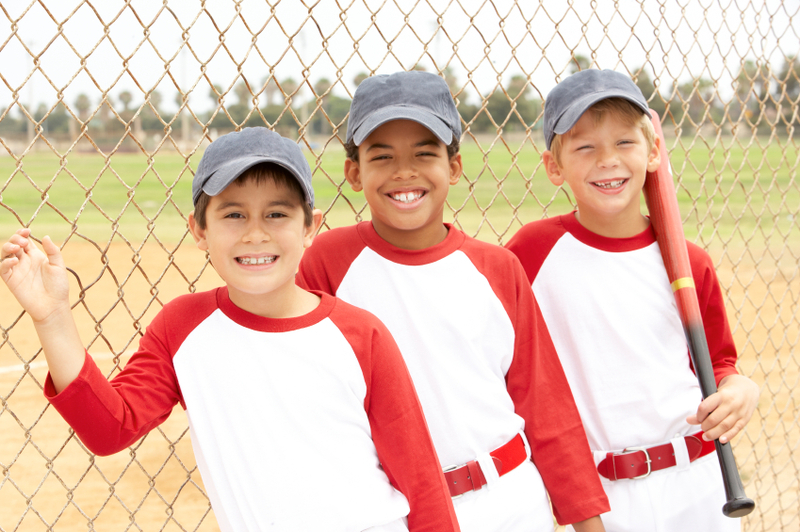 Baseball, softball, soccer, and swimming provide tons of summer fun – but also pose a risk to your oral health. As a result, mouth injuries that require emergency dental services typically spike during the warmer months. Did you know that up to 40% of dental injuries in older adolescents and adults occur while playing sports? The Academy of General Dentistry (AGD) finds that sports like soccer and baseball produce the highest amount of mouth related injuries each year. Unlike football and hockey, these summer sports do not require the use of mouth or face guards, which dramatically increases the odds of dental injuries. The most common types of sports related dental injuries involve dislodged, chipped, and knocked-out teeth. These injuries not only severely damage a person’s teeth, but can also damage the gums and roots that surround it. The dental professionals at Dakota Dental strongly recommend wearing a mouth guard or face protector when partaking in sports or other physical activities this summer. Even a light-hearted pickup game in the park can accidently cause serious injuries to your teeth and gums, so it’s important to always take appropriate precautions. If you or someone you know suffers a dental injury this summer, be sure to head to the Apple Valley dentists at Dakota Dental. Dakota Dental offers emergency dental treatment for those suffering from chipped, dislodged, or knocked-out teeth. Using sedation dentistry, we are able to perform restorative dental work without causing pain or discomfort to the patient. No matter the severity of the injury, we will get your smile back to its original brilliance in no time. Contact Dakota Dental for more tips on protecting your mouth this summer or to learn more about our emergency dental services.